Charles Eastman was born on the Santee Reservation in Minnesota in 1858. His grandparents raised him after his mother?s death and his father?s capture during the ?Minnesota Sioux Uprising?. FROM DEEP WOODS TO CIVILIZATION continues Eastman?s captivating autobiographical work after Indian Boyhood, telling the story of his years during school and into his life as a doctor. One of the highest educated Indians of his time, through his social work and his writings he was one of the best-known Indians of the early 20th century. 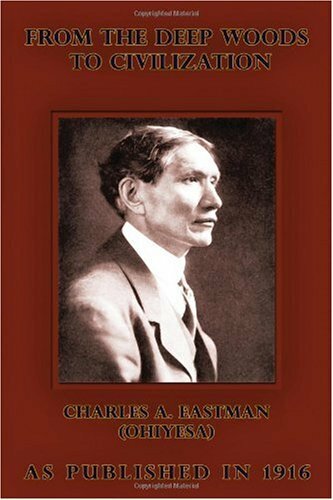 Raymond Wilson, a professor of history at Fort Hays State University and author of Ohiyesa: Charles Eastman, Santee Sioux (1983), discusses Eastman's life and work in his introduction to this Bison Books edition. "This stimulating book is one of the few that really deserve the over-worked term, a human document."